Port Orange is located about halfway down the East Coast of Florida, 115 miles south of Jacksonville and 60 miles north of the Kennedy Space Center. 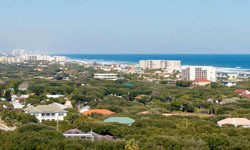 It is adjacent to South Daytona, Spruce Creek and Daytona Beach Shores. With approximately 53,000 residents, Port Orange is a beautiful city with balmy year-round temperatures and a wide variety of recreational, business and entertainment opportunities, making it one of the most popular areas of the country. The town’s motto is “Unique by choice, not by chance,” and it’s recognized statewide for its high quality of life. The city of Port Orange is considered part of the South Daytona metro area where the palm trees, blue skies and lush foliage combine to create an appealing laid-back, tropical atmosphere. The town was established in 1867 along the banks of the Halifax River and maintained a relatively stable population for over a century. In the mid-1970s, Dunlawton Avenue was extended from the FEC Railroad to Interstate 95, and Port Orange began to blossom into the thriving community it is today. However, even as it grew into a large metropolitan community, the city managed to retain its resort-like character and hometown appeal. 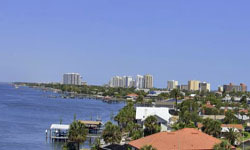 The city of Port Orange encompasses 26.5 square miles and is made up of 150 distinct “neighborhoods.” The city’s aggressive commercial and industrial development policies have resulted in vibrant shopping and professional facilities along the major roadways, with an easy commute to the quiet, tree-lined neighborhoods that are situated away from the hustle and bustle. Port Orange is known as being a leader in community design, growth management, environmental protection and public services. Careful planning has allowed the city to grow yet has not compromised the natural beauty of the area.